Frank Zappa had once said, “So many books, so little time.” This couldn’t be closer to the truth. For me, books have made me cry, laugh, reminisce, and sometimes, introduced characters that feel like they are a part of my very world. On the other hand, there are books that influenced me and lifted me out of my current environment, from under the light of a lamp in the hallway or the step of a verandah in which I mindlessly resided, leaving me with a broader view of things that made my world very different from the one I was in an hour ago. Some of these books inspired me in a big way and compelled me to change my perspective on things. 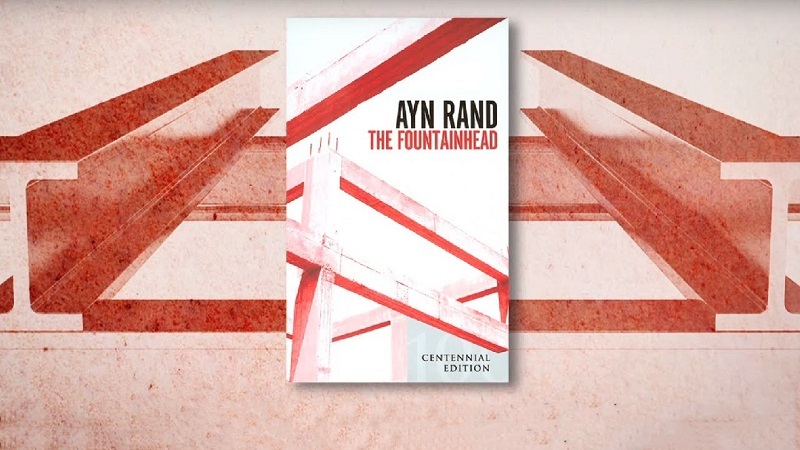 I vaguely recall being 18 and reading The Fountainhead for the first time, one of the books that influenced me. 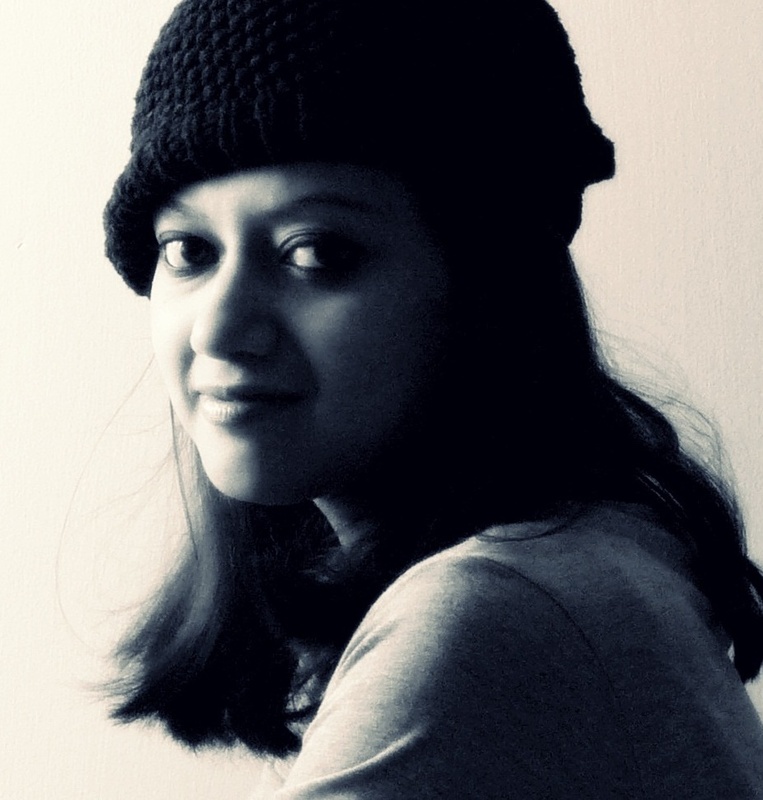 It was 2002 and I was going off to college in Delhi, a strange, new city for me. Having to fend for myself led me to learn a lot about myself and the world around me. I was an agreeable teenager, eager to please and be liked, and steer away from conflict as much as I could. Like many young adults, I was impressionable. Though I didn’t realise it back then, I now understand the impact that books like The Fountainhead had on me. 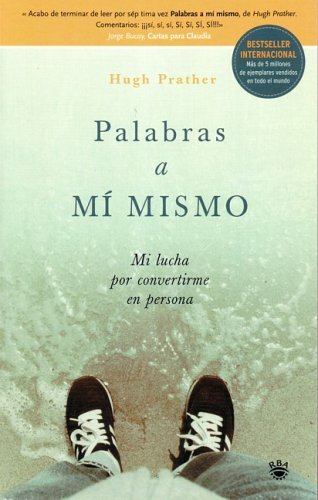 It made me more aware of the importance of being objective, to be able to question things in the face of conflict, and to like and believe in myself when no one else would. Howard Roark was a hero to me when I first read about him at 18 and, at 33, his values and outlook towards life still act as an anchor. There are many parts of The Fountainhead that resonate with me, but my favourite part emphasises the importance of the independent mind and making, creating, and achieving things that not only make us happy, but also contribute to improving society. I can’t say for sure it was exactly around the time I read The Fountainhead, but that same year, I had started pursuing writing and painting with more seriousness and intent. I’d started spending more time developing my skills, and during my early 20s, I found them to be great creative outlets for me. 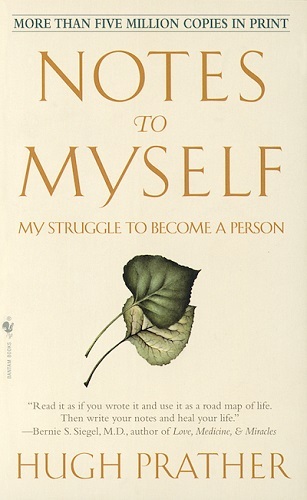 Another book that has stayed with me for many years is Notes to Myself: My Struggle to Become a Person by Hugh Prather. However, unlike The Fountainhead, I did not buy the book but came across it by sheer chance. The book explores concepts of love, mindfulness, and self-awareness through snippets of self-reflection. What’s particularly interesting about the book is that the author doesn’t use page numbers, and the topics he writes about are spread out across the book such that the reader wouldn’t know what to expect to read next. I was barely 12-years-old when I first read the book during a summer holiday back at home in Assam. It was a new copy that my parents had bought, and I’d found it lying on one of the coffee tables among books on art and architecture, Reader’s Digests, and other magazines. Summer holidays during the 1990s were a time when I had a lot of time on my hands being away from the hectic schedule of a boarding school and I didn’t know how to spend those long summer days at home. During one such hot summer day, I sat in our hall browsing through Notes to Myself. I’d read a few pages and I was on the verge of abandoning the book when I found this note. Growing up, like many children my age, I was often asked the question, “What do you want to be when you grow up?” As a 12-year-old, I found this quote by Prather illuminating and it is definitely one of the books that influenced me. For the very first time in my life, I realised it was okay to be passionate about several things, to pursue them, and even have multiple careers based off them depending on my talent and skills. Within the next hour, I’d read several more pages and even though I’d understood little of what I’d read, I treasured all the notes that I could decipher and relate to. I’ve read Notes to Myself many times since then, during different phases of my life and, each time, I’ve understood it differently and it has provided me with great insight. 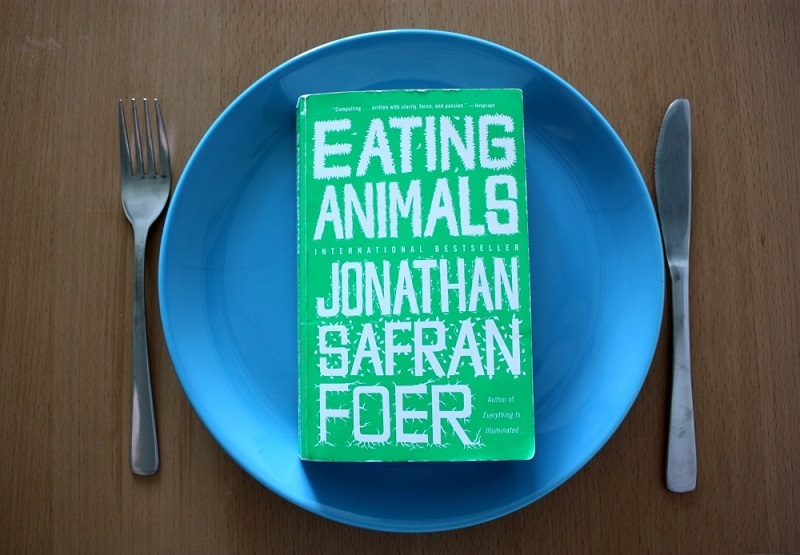 I recently read Jonathan Safran’s Eating Animals, which made a big impact on me. While the name of the book is a controversial topic among many people, the book is essentially a comprehensive piece of journalism that makes us question ‘who’ is served on our plate and how ‘he’ or ‘she’ was placed there. It talks about typical factory farm conditions in which animals are reared as well as ethical alternatives to factory farming. There have been several books that influenced me, put a lump in my throat or made me tearful, but very few have compelled me to take action. However, this book was different. Within one week of reading the book, I reduced my intake of meat. Today, two months after reading the book, I no longer eat chicken, pork, or mutton. Throughout the book, the author uses vivid descriptions to talk about the life cycle of animals and what they experience through their lives to create a sense of unease in the reader, and make us question some of the fundamental ways we look at animals and our relationship with them. Hands down, Safran’s book is one of the most emotionally powerful books I’ve read in the past year. It’s a tough book to read and because I couldn’t read it in a few sittings, I read it across weeks, in multiple sittings. These books weren’t like a strike of lightning, a rogue storm, or a shooting star that illuminated the sky. It wasn’t that pages of my books were flipped by a mysterious gush of wind or that lights flickered as I turned a page and wandered through the words in the book. It was much more understated, like a soft glow of light streaming through a window on a cold winter morning. They have been a large source of inspiration for me and as time has passed by, in many ways, they have moulded the way I think and act. Which book has influenced you the most? Tell us how it changed you. PreviousHow Accurate Is The Golden Man Booker Prize Shortlist?